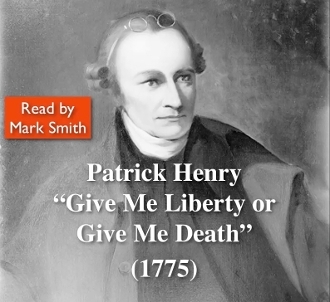 This is Patrick Henry's famous speech repeated phrase by phrase so that students can practice reading along. Read by Mark Smith. This is an excellent way to increase vocabulary and learn history with a dramatic flair. It's perfect for a speech or drama class. Listen and repeat.